Life is tough for the 3800 plus. This is the single-core, non-X2 variant of the 3800 which boasts a lone cache memory pool of just 512K and runs at 2.4GHz. 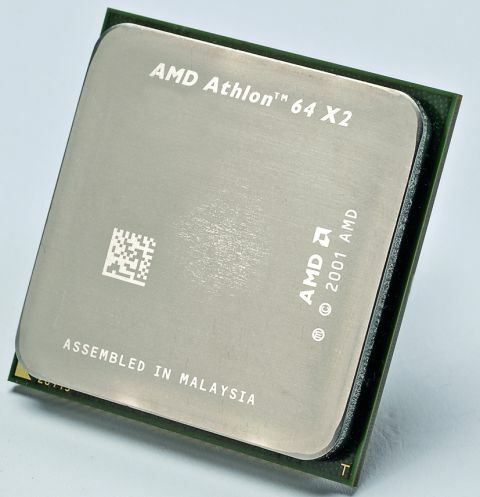 And very definitely not to be confused with the Athlon 64 X2 3800 dual-core processor. The 3800 ought to be bracketed with Intel's range of dirt-cheap Celeron CPUs, but since the Sempron family lives on for now and AMD has chosen to offer it for the new AM2 socket, it merits consideration. Especially as it's priced in the same approximate ballpark as the Pentium D 820. It is not, however, in the same league when it comes to performance. Single-threaded applications aside, the 3800 takes a humiliating beating in many of our benchmarks and turned in some predictably woeful multi-tasking results.